Welcome Home Craig Campbell to play Bach at Noon Tuesday 27 January! Grace Church welcomes home Craig Campbell to play the Bach at Noon Organ Meditation on Tuesday 27 January at 12:20 p.m.
Craig Campbell served as Assistant Organist here at Grace Church in the City of New York , until his graduation from The Juilliard School in 1982. He studied organ with Vernon deTar and Gerre Hancock. He accompanied The Choir of Men and Boys, The Grace Church Chorale Society, played for the Wednesday evening Eucharists under the leadership of C. Fitzsimmons Allison, Harold Barrett and Paul Zahl, priests; and Frank and Dilys Smith who led the music ministries of the church and school. He is a graduate of The Institute of Sacred Music at Yale University, where one of his assistantships was that of Chapel Organist at Yale Divinity School. He served as Organist and Choirmaster at Christ Church, New Haven, and Saint John’s Cathedral in Los Angeles. 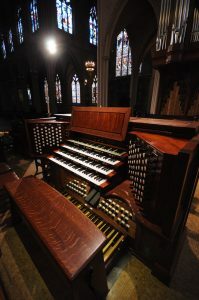 In 2005, Mr. Campbell began study with Daniel Roth, organist-titulaire of Saint Sulpice, and organ professor at The Hohschule for Musik in Frankfurt, having lessons in Paris and in the United States when Mons. Roth was on tour. 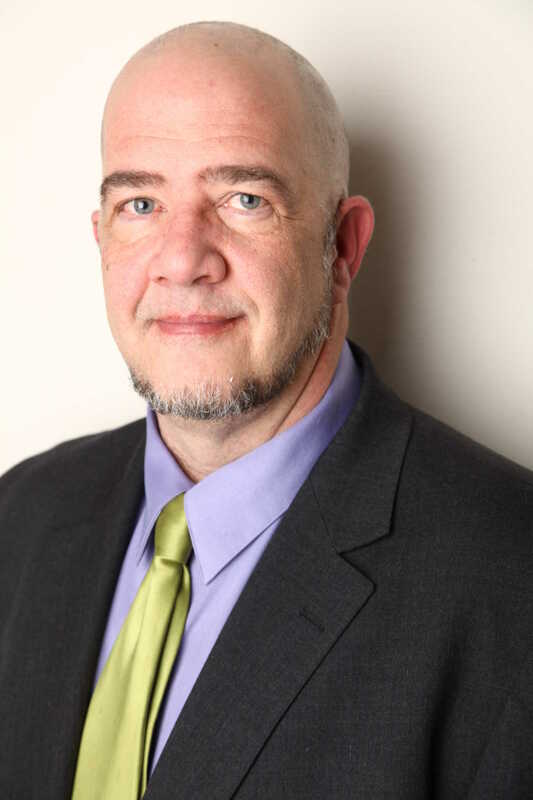 In the past decade he has played recitals here in New York City, Connecticut, Pennsylvania, Tennessee, Atlanta, Boston, Paris and London in addition to his work as a full time church musician and teacher. He currently resides in his native East Tennessee. Mr. Campbell will be joined in the program by double Bassist Ian Haile. Mr. Hail is a 2014 graduate of The Hartt School in Connecticut. He has studied with prominent bassists Nat Reeves and Rusty Holloway. He began his musical studies at age 9 with our recitalist, Craig Campbell, from whom he learned the fundamentals of musical harmony and piano works by Bach, Debussy, Mozart, Beethoven and others. He is currently living in Brooklyn, New York and working full time as a musician in the Tri-State area and New England.